My name is Jeremy Ludyka, I live in Cornwall, Prince Edward Island Canada and grew up in Sydney/Glace Bay, Nova Scotia. My plans for the future are to become a Veterinarian and do my training here at the AVC (Atlantic Veterinary College). 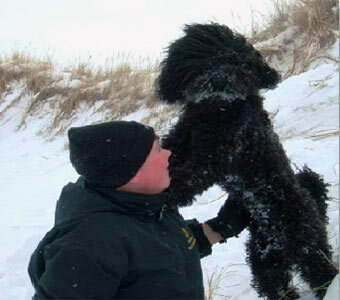 I first heard about the Barbet when it was introduced into the CKC (Canadian Kennel Club), in 2006. I then researched the breed for 4 years before I purchased my first female, Febe, from a reputable breeder in Quebec. Febe was born December 25, 2010 (who could imagine a better Christmas gift? 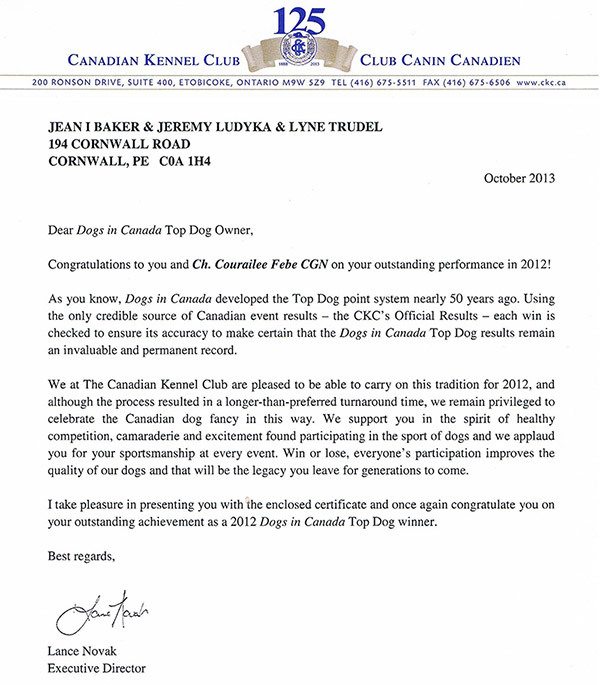 ), now has her CKC (Canadian Kennel Club) Championship and we are working on her CKC Grand Championship. 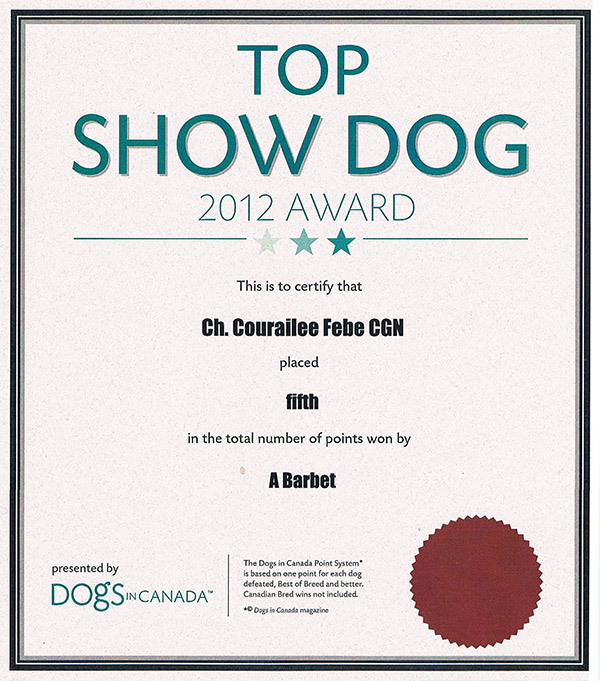 Febe has also passed her CGN (Canadian Good Neighbor) testing. I have purchased my second Barbet, a beautiful male that I got from Charamese Barbets in Somerset, England. Hunter was born April 4th, 2012 and came to live with us that summer. I also have shown Hunter at Maritime Dog Shows. I am working on getting Hunter his CKC Championship; he now has 9 points towards the 10 necessary for his the Championship. Hunter has passed his CGN testing ( Canadian Good Neighbor), and has his CFC Junior Championship. Hunter and Febe have puppies expected September of 2013. 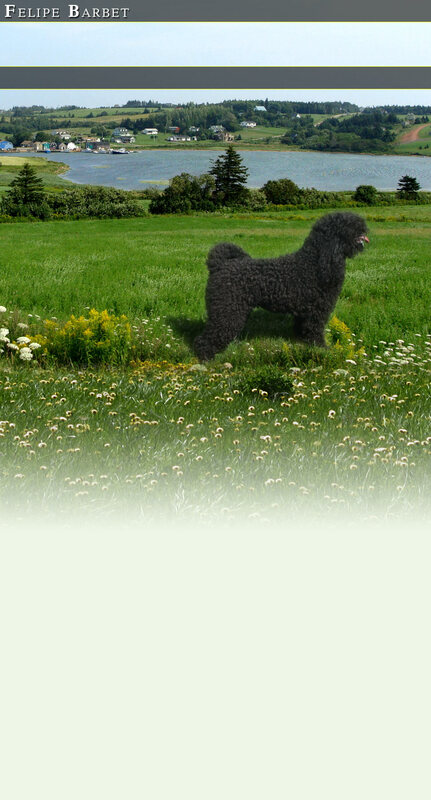 I am currently a member in good standing with the CKC (Canadian Kennel Club), the Island Dog Club, and the Barbet Club of Canada. I handle my own dogs at dog shows. My interests, other than my dogs and their well being, include raising, breeding, and showing poultry and fowl in the Maritimes. I currently am training Hunter and Febe to flush and retrieve.